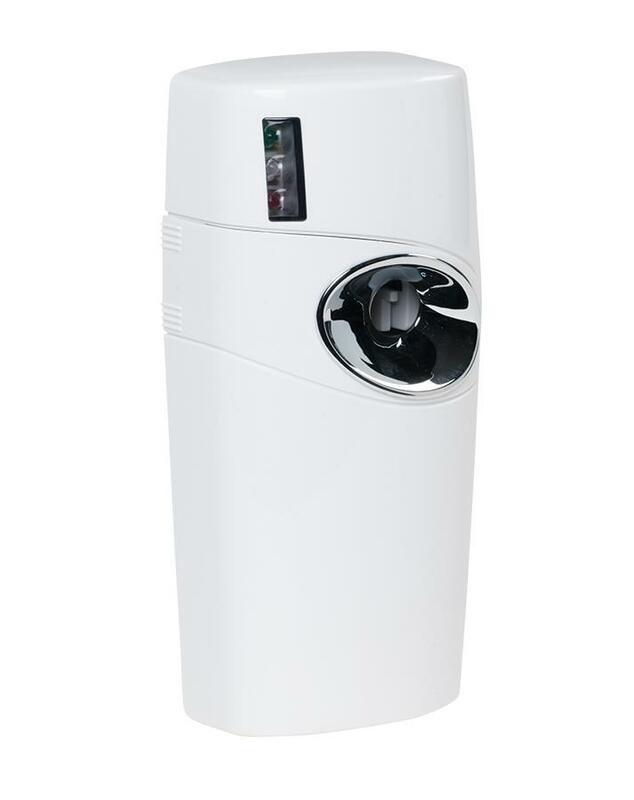 MICRO Nilotron™ Aerosol Dispenser is designed to hold the Nilotron MICRO metered aerosol. Designed with settings to dispense every 7.5, 15 and 30 minutes, daylight, 24 hour and night activation settings, ON/OFF switch, low battery and refill light. Runs on 2 “C” batteries. Use in any room to control odors and provide freshness 24 hours a day.